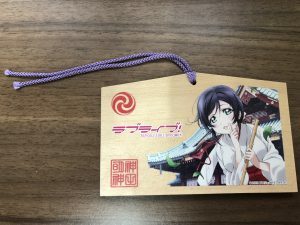 ‘MANGA DRAWING in TWO HOURS’ in AKIHABARA! Instantly able to learn how to draw MANGA! traditional MANGA drawing tools. Using calligraphy pen to express yourself, makes your drawing one and only in the world! 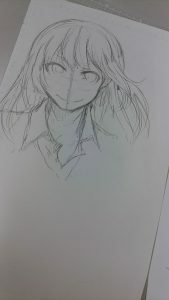 collaborating with Nihon Mangajuku, nuturing Professional MANGA Artists. Never use calligraphy pen? Not to worry! 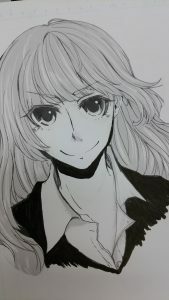 Professional MANGA Artist is your instructor, he/she teaches you how. Lecture is in Japanese though, an interpreter is aside, help you to understand in English. 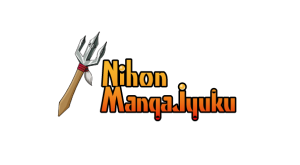 pop-cul.jp collaborates with Nihon Mangajuku, developed the program. You need two years to complete ‘Professional MANGA Artist’ course though, just 2 hours to learn very basic how to draw Japanese Style MANGA! To book, Click here to Event Regist, or order below. *You need account in Event Regist. Basic Skills you learn : Draft, Inking, Beta (Black out), and Screen Tone. 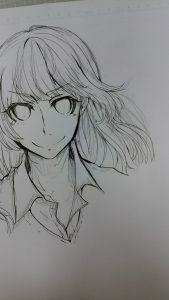 An instructer is professional MANGA artist, with English interpreter. No need to prepare drawing tools. 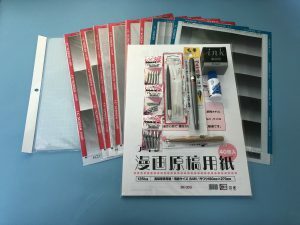 Drawing paper exclusive to MANGA, calligraphy pen, ink, pensils, screen tone and more are prepared at Nihon Mangajuku. At the end of program, show your works each other! Contains tools you use in the program. 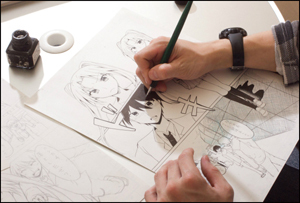 With ‘MANGA Drawing Basic Kit’, you can draw your own MANGA anytime! Digitalize your paper work and save it in USB, so that you can take it back home, print it anytime you want. English interpreter and 12-color Markers includes. 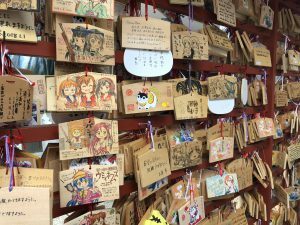 Myoujin, writing place is designated, with 12-color markers, draw MANGA and make a wish! Ginza Line – Suehirocho Sta. Exit 4, 3 mins. on foot. Chiyoda Line – Yushima Sta. Exit 5, 6 mins on foot. *Eating is prohibited at venue. Drink is OK but alcohol. it over to an instructer. Age Ristriction over 10 years. *We can prepare materials for 10 to 14 yrs. upon your request. Fare is same. *In case you book within 7 days in advance of the program date, we charge 100% on cancellation. You should notify us to ‘Emergency Contact’ in confirmation mail. We may ask for evidence. Without notification or evidence we charge 100%. We inform you by 1:00pm on the program day. It may happens due to very bad weather, incident, accident, transportation failure, law enforcement order or anything we think we cannot keep your safety. We refund 100%. Eating food in the program. 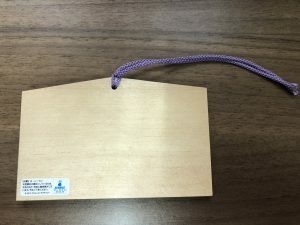 Any behavior disturbing other participants, instructor, interpreter, Nihon Mangajuku, or Entertainment Marketing, Inc. (operates pop-cul.jp) is banned. We have a right to order you to leave program immidiately, in case your bad behavior is gone too far. We do not refund anything. To book, Click Here to Event Regist or order below.